This powerful, new documentary explores one of the great mysteries in the history of life: the geologically-sudden appearance of dozens of major complex animal types in the fossil record without any trace of the gradual transitional steps Charles Darwin had envisioned 150 years ago. Frequently described as “the Cambrian Explosion,” the development of these new animal types required a massive increase in genetic information. Growing evidence suggests that the creation of novel genetic information requires intelligence, and thus the burst of genetic information during the Cambrian Explosion provides convincing evidence that animal life is the product of intelligent design rather than a blind undirected process like natural selection. 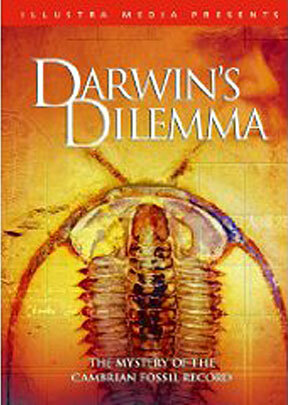 Darwin’s Dilemma recreates the prehistoric world of the Cambrian era with state-of-the-art computer animation, and the film features interviews with numerous scientists, including leading evolutionary paleontologists Simon Conway Morris of Cambridge University and James Valentine of the University of California at Berkeley, marine biologist Paul Chien of the University of San Francisco, and evolutionary biologist Richard Sternberg, a Research Collaborator at the National Museum of Natural History.